So I was up waaaay too long last night. The sole reason for this was because I got hooked on the Original Broadway Recording of Hamilton. I have been hearing the buzz regarding this musical over the last few months and with it being described as, “the best piece of art in any form that I have seen in my life” by none other than the First Lady, I had to check it out. Using Hoopla (which is a service provided free by the Chesapeake Public Library) I was pulled into the late eighteenth century in a way I had never before imagined. Hamilton is the brain child of Lin-Manuel Miranda which started after he read Ron Chernow’s biography on the Founding Father that graces the ten dollar bill. Miranda had the brilliant idea of adapting the work into an Off-Broadway musical (which sounds audacious enough) using the medium of Hip-Hop and Rap to drive the narrative. That’s right, the story of Alexander Hamilton is told through two and a half hours of remarkable history and clever rap! Starting with a project that became known as the Hamilton Mix-Tape, Miranda pulled all of the elements of Chernow’s biography and modern hip-hop/rap to form this remarkable amalgam of past and present. The musical quickly moved from Off-Broadway to the big stage of Broadway itself. As a student of history and a student of old school rap, I sat in bed with my headphones on and felt blown away by the brilliance of what I was hearing. Even the White House was blown away by the concept that Miranda was putting out into the ether. Hamilton is raw and emotional, as well as informed historically. It follows Alexander through his trials and tribulations coming from remarkable circumstances to becoming one of the most influential individuals of the Revolution and early American Republic. All of the players are here, King George (who has one of the best pieces that breaks from the norm, a track called You’ll be Back which follows the style of the British Invasion but personally reminded me of The Smiths), George Washington, Marquis De Lafayette, and of course, Aaron Burr. Miranda also sought to cast each player with as a non-white lead, which may have been seen as controversial to some but provides the desired impact of relatability. Each character is an individual and their styles play through the music in a way that I can only imagine burns bright on the stage. Even the romantic ballads of Angelica and Eliza Schuyler (Satisfied and Helpless) shine through the recording. I am not generally a fan of musicals, often I find them too sappy or unrelatable, but Hamilton bucks all of these concerns. Not since Moulin Rouge (2001) have I been so engaged in a musical and especially not one in which I have not even seen the visual image of. Hamilton reminds me of the outdoor drama, The Lost Colony, with a healthy dose of popular music and culture. In many ways, I almost don’t even want to see the actual musical itself because I have created the visual image of the story in my own head. Yet, given the opportunity, I would be all over that chance! 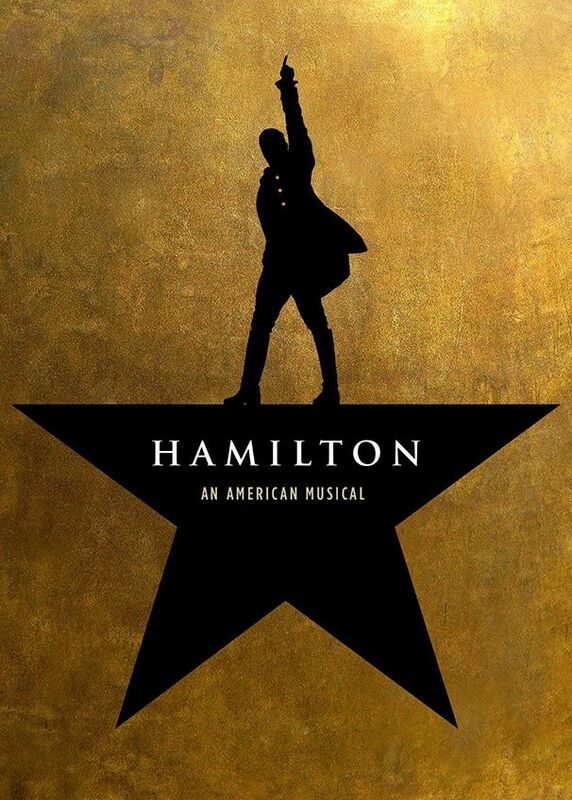 I can only imagine the applications that this musical can have on teaching a love for history and for that I am grateful that Lin-Manuel Miranda built such a wonderful work. Plus I also have to thank Miranda because he partnered with J.J. Abrams to make the new musical number in Maz Kanata’s castle in Star Wars: The Force Awakens. Genius! You can check out the soundtrack and the book that inspired it here at CPL. Also check out Hoopla for even more options! I’ve heard a lot about this musical too–it seems like everyone is talking about it. Glad to hear the music is on Hoopla. I’ll have to check it out! I saw one of the numbers on an award show (or something like that) recently–and absolutely loved it! Maybe it’ll come to Chrysler Hall as one of their “Broadway in Norfolk” productions. The music is phenomenal and the dancing and choreography I saw in that one number made me want to see the entire show. I ill be checking out the soundtrack on hoopla soon!